Why Prodigy is the best 2018 WordPress Theme for DJ? Prodigy is designed for DJs, experimental music artists, electro and house musicians. This jaw-dropping mobile-friendly WordPress theme for DJ is packed with features that will make your website unique and stylish. The menu is clean with a nice overlay effect. Showcase your latest albums and music videos, along with a short but slick biography and promote your social medias directly on the homepage. 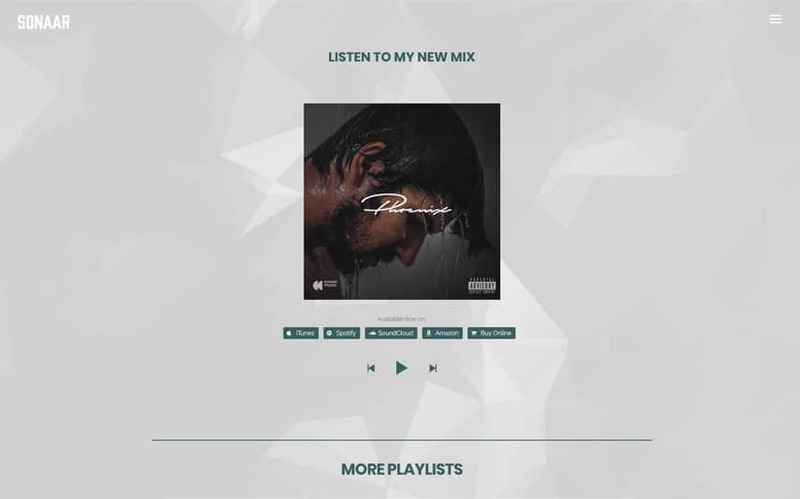 Don’t forget the coolest feature we have ever developed yet: A continuous music player with soundwaves FX that stay still when you navigate the website which means your music will never stops. Thanks to our ajax technology which we have been developing during the last 3 years. 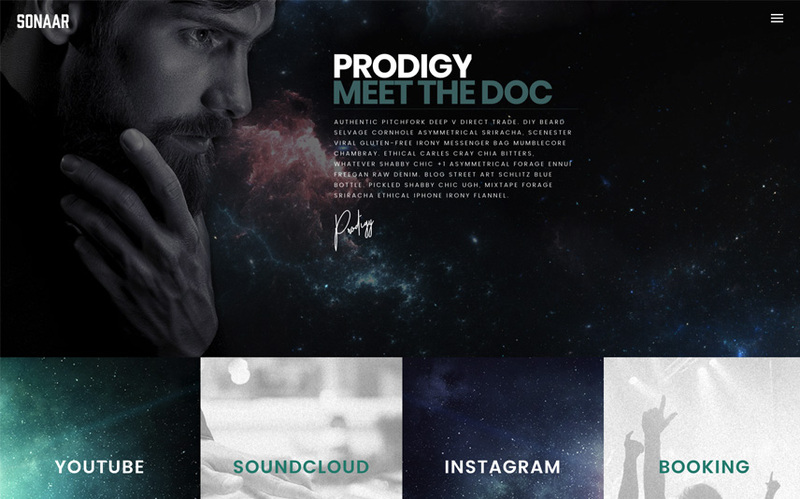 Prodigy is the latest and the best WordPress Theme for DJ and Musicians you will ever buy for your music website. Go big or go home. 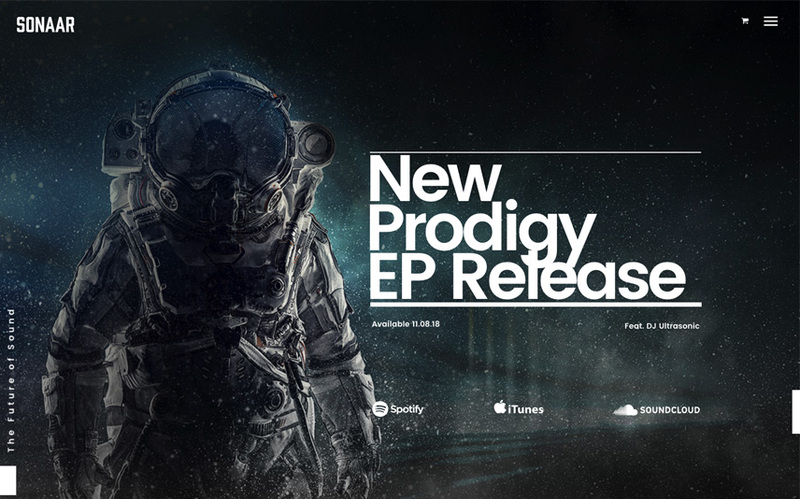 Prodigy WP theme has been designed for DJ artists and resident DJs performing in music clubs. 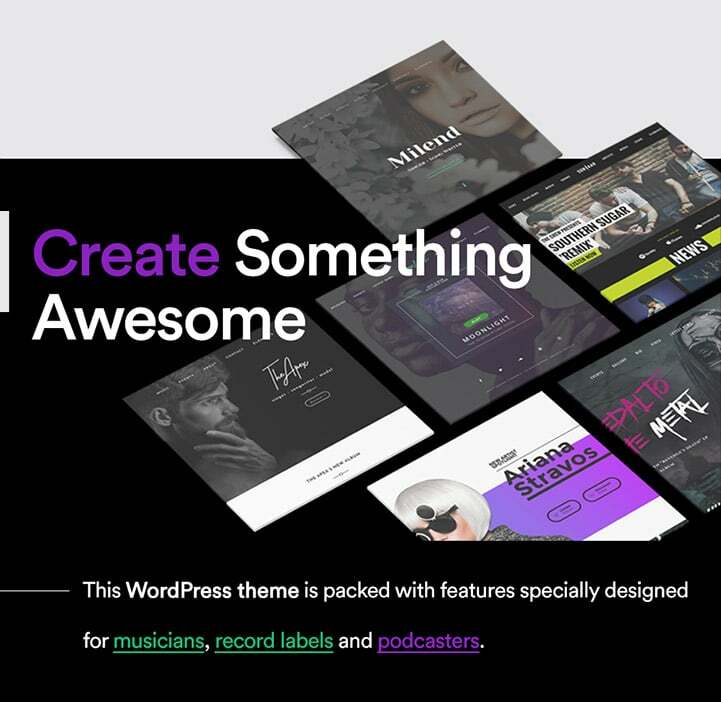 It includes more than 100 pre-designed elements and custom widgets and has many theme options to turn this music WordPress theme into something unique. 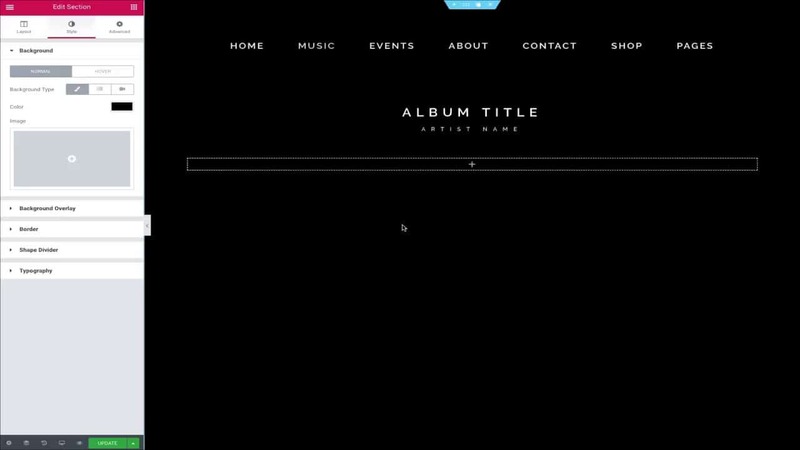 Thanks to the full-width video background that gives a modern design to your upcoming Deejay website. By using Revolution Slider and Visual Composer page builder, you will be able to create unlimited page layouts just by dragging and dropping blocks in the order you want them to appear. We’ve made no compromise when we developed this DJ WordPress theme. The management system to edit your music playlist and music events are very intuitive. 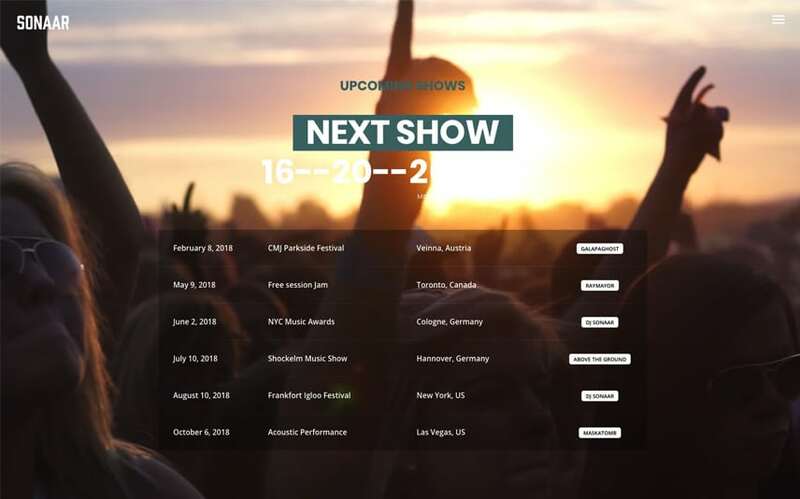 The event manager allows you to add upcoming events as well as your past events to keep an archive and show music promoter which nightclubs or festivals you’ve been playing. You can also display all your DJ event’s photos and videos. You will have the option to embed your YouTube channel, Instagram account, Bandsintown, Soundcloud and Spotify music and manage your social post directly from the corresponding platform. This will save you a bunch of time by avoiding to manage and upload posts from 2 different platforms. You can also sell merchandise and sell tickets directly on your site by using the free WooCommerce plugin! This theme is also translation ready so you can translate it to any language you’d like! Put Prodigy at the top your list because this DJ template incredibly rocks. It’s probably the last theme you will buy.